The wait for Snow Leopard is over: on Monday, Apple announced that the latest version of its Mac OS X operating system would be available starting Friday, August 28. The company had previously said that the update would ship in September, but speculation intensified that it would ship earlier than anticipated after a glitch on Apple’s Web site late last week. First announced at Apple’s 2008 Worldwide Developers Conference, Apple later confirmed that the update would bring performance enhancements, under-the-hood improvements, and feature refinements instead of focusing on brand new capabilities. Among Snow Leopard’s most prominent new technologies are a transition to 64-bit applications; Grand Central Dispatch, which lets multicore machines take better advantage of those capabilities; and OpenCL, a system that allows Macs to use graphic processors for improved performance. In addition, Snow Leopard builds in support for Microsoft Exchange Server 2007 in Mail, Address Book, and iCal, allowing users to seamlessly take advantage of those services in their e-mail, calendaring, and contact management. The update’s focus on under-the-hood improvements should yield dividends in terms of performance, too. Apple boasts of faster times for everything from installation to waking from sleep to system shutdown. And Snow Leopard packs all of that performance into a smaller footprint, reducing the size of its installation by around 6GB. And with all of that, Apple has still had time to make a few tweaks and enhancements to Snow Leopard’s user features. Exposé now features a more organized overview of windows, as well as the ability to view all of an application’s windows via the Dock; Stacks are now scrollable and allow you to navigate through sub-folders; and the Services menu has been revamped to be friendlier and more usable. Apple’s added a few new features as well. The Date & Time preference pane now allows you to set your time zone automatically, based on your Mac’s location, and Preview now allows users to easily select text from a single column in a PDF. QuickTime Player has received perhaps the most attention, getting an interface facelift that features a black control overlay that fades out when not in use, and new video editing and sharing features. 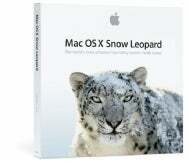 As Apple announced at June’s Worldwide Developers Conference, Snow Leopard will be available at the price of $29 for those customers upgrading from Leopard; a family pack of five licenses is available for $49. Users upgrading from earlier versions can buy the $169 Mac Box Set which also includes iLife ’09 and iWork ’09 or the five-user family pack for $229. Those who purchased a qualifying Mac on or after June 8, 2009 can take advantage of Apple’s $10 Snow Leopard Up-to-Date Program. All versions of Mac OS X Snow Leopard require an Intel processor, 1GB of memory, and 5GB of free disk space.